Growing up in the San Gabriel Valley, Luis came from a big family and was heavily influenced mostly by his Tio Gary who was not only tattooed but would also tattoo on everyone he knew. At the young age of 13, Luis took his Tio’s homemade tattoo machine and started tattooing on his brother and friends. Once his Tio found out about his tattooing, he then started to teach Luis techniques which he has now incorporated into his own style. Luis has now established a successful career as a tattoo artist, working over 20 years in the business. Initially, he started working at a shop, and about 7 years ago has now opened his own shop called Knuckleheads Tattoo, with the recent re-location in Colton, CA. 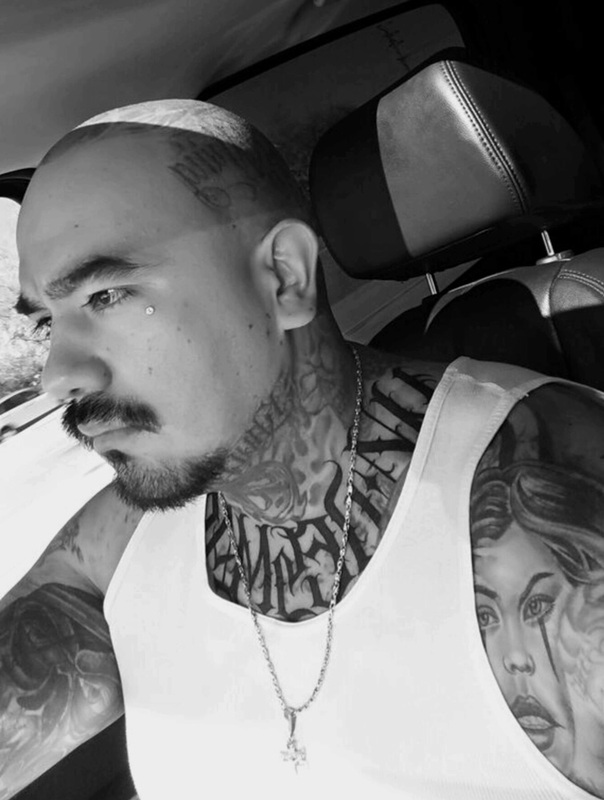 Luis respects all other artists in the industry, but states, “what makes me different are my social skills, I am not only an artist but also a shrink,” as he smiles, he also says, “I like to help people so it doesn’t bother me to listen.” Luis also tattoos for PINK, specializing in covering breast cancer scars as well. You can find Luis at his new shop, Knuckleheads Tattoo at 1231 E. Washington St. Colton, CA 92324, follow him on Instagram at Knuckleheadtattoo, as well as FB under Louis Martinez.